In February and March 2016 i spent 3 weeks in Thailand. 2 days upon my return to Switzerland my father died. Out of respect of him I publish here this foto which was taken in early March 2016 on a morning at the public beach in Hua Hin. 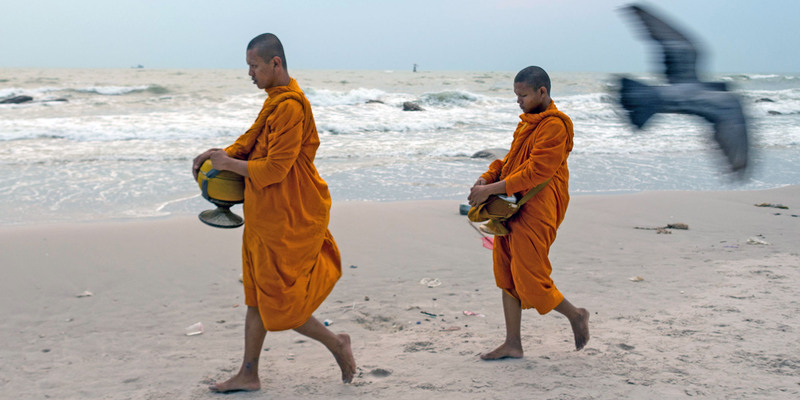 According to buddhist custom the monks go every morning into the village and to the people to collect food. More information on the life of my father who died March 7, 2016 can be found here. This item was posted on March 19,2016. But it was re-dated as of March 7, 2016 which is the date of death of my father.